The share price for Severn Trent Plc EPIC code: LON:SVT has stepped up 2.21% or 43 points during today’s session so far. Market buyers have remained positive throughout the trading session. The period high has peaked at 2013 while the low for the session was 1967. Volume total for shares traded during this period was 253,848 with the daily average at 912,020. The 52 week high for the share price is 2104 equating to 155 points difference from the previous days close and the 52 week low at 1664 which is a variance of 285 points. 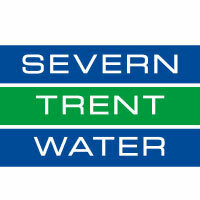 Severn Trent Plc now has a 20 SMA of 1919.35 with a 50 day simple moving average now of 1899.17. The market capitalisation is now £4,724.32m at the time of this report. All share prices mentioned for this stock are traded in GBX. Mcap is measured in GBP. This article was written with the last trade for Severn Trent Plc being recorded at Thursday, January 31, 2019 at 12:02:51 PM GMT with the stock price trading at 1992 GBX. Shares of Scottish Mortgage Investment Trust PLC ticker lookup code: LON:SMT has climbed 1.54% or 7.25 points throughout the session so far. Traders have stayed positive during the session. Range high for the period so far is 479.15 dipping to 472.68. The number of shares traded by this point in time totalled 250,868 whilst the average number of shares exchanged is 1,877,225. The 52 week high for the shares is 569.31 around 97.61 points different to the previous business close and a 52 week low sitting at 414.2 a difference of some 57.5 points. Scottish Mortgage Investment Trust PLC has a 20 day moving average of 479.4 and now its 50 day MA at 481.47. Market capitalisation is now £7,034.85m at the time of this report. The share price is in GBX. Mcap is measured in GBP. This article was written with the last trade for Scottish Mortgage Investment Trust PLC being recorded at Thursday, January 31, 2019 at 12:02:01 PM GMT with the stock price trading at 478.95 GBX. Shares in Smith & Nephew plc EPIC code: LON:SN has increased 1.3% or 18.5 points throughout today’s trading session so far. Investors have stayed positive throughout the session. The periods high has already touched 1447 dipping to 1428. Volume total for shares traded at this point reached 439,409 whilst the average number of shares exchanged is 2,772,682. A 52 week high for the stock is 1548.5 which comes in at 120.5 points difference from the previous days close and the 52 week low at 1173 which is a difference of 255 points. Smith & Nephew plc now has a 20 SMA at 1444.25 and a 50 day moving average of 1453.93. The market capitalisation is now £12,619.65m at the time of this report. All share prices mentioned for this stock are traded in GBX. Mcap is measured in GBP. This article was written with the last trade for Smith & Nephew plc being recorded at Thursday, January 31, 2019 at 12:03:27 PM GMT with the stock price trading at 1446.5 GBX. 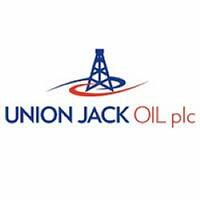 Stock in United Utilities Group PLC with EPIC code: LON:UU has climbed 1.83% or 15 points during today’s session so far. Investors have remained positive throughout the trading session. The periods high figure was 845.6 dipping to 827.8. The total volume of shares traded by this point was 717,624 with the daily average at 2,835,449. The 52 week high is 845.6 which is 25.8 points different to the previous business close and a 52 week low sitting at 648.6 a difference of some 171.2 points. United Utilities Group PLC now has a 20 SMA of 795.95 and now its 50 day moving average of 778.99. The market cap now stands at £5,688.31m at the time of this report. The currency for this stock is Great British pence.Market cap is measured in GBP. This article was written with the last trade for United Utilities Group PLC being recorded at Thursday, January 31, 2019 at 12:02:47 PM GMT with the stock price trading at 834.8 GBX. Click SMT SN SVT UU for the full archive.